The foundations are solid- enough to support a second story addition (when desired), the framing is usually in good shape- which is easy to supplement, and there is quite often pre-existing stone work and other textures- which is desirable to retain during the remodel and would be expensive to replicate on a new home. Typically, the systems need replacing. The electrical, plumbing and ventilation systems have been working hard for nearly 60 years and it’s time to update them. A typical ‘complaint’ of an MCM client is that some/ all of the systems are simply worn out (read: dripping faucets, commonly tripped circuit breakers, inadequate heat). The windows are typically single pane and updating them to energy efficient double-pane windows does wonders to keep the heat in, lower the heating bill and solve that drafty problem. Typically, MCM homes simply used “field-built windows”- that is, large inoperable panes of glass stopped-into place with wood trim. So, another bonus of updating the window package is to strategically incorporate more operable windows for proper cross-ventilation, while maintaining that open feel to the outdoors. There is typically little or no wall insulation and the ceiling insulation is usually well below current standards. Wherever, wall and ceiling cavities are opened up, it’s highly recommended to install new insulation. We’ve developed a series of strategies for bringing the home up to, or near, current insulation values as well as installing a proper vapor barrier while maintaining the crisp MCM lines. The original floor plans are usually simple and straight-forward making it effective to move or lose walls depending on the new program. Often times, alterations to the actual plan of the MCM home are subtle, frankly almost invisible when the home is completed, yet the updated design functions and feels much improved. Typically, kitchens are transformed from feeling like large closets for getting the cooking job done, to home’s hub where all family and entertaining activities function through and around. The original exterior elevations typically involve long horizontal lines with deep overhangs. In many cases the exterior look is attractive to the point of preserving. A few strategies are to improve the amount of natural daylight entering the home, preserve/ enhance existing textures and re-skin the house in an MCM complimentary material like a stained T&G clear cedar siding. 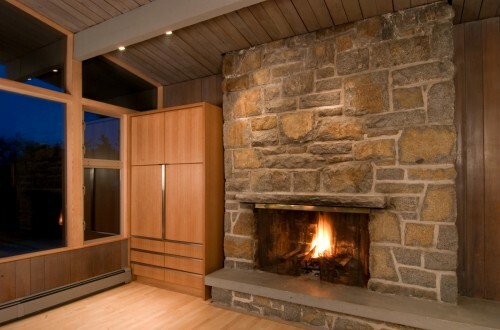 We also routinely look for ways to enhance the indoor/ outdoor relationship as well- that is, incorporating large sliding door systems to better connect, and “borrow”, exterior terraces/ garden areas to make the MCM interior feel more spacious (without needing to add expensive, and often, unneeded, interior space). …and that’s just a few. There are many benefits of MCM homes (pre-existing attributes that are value-adds and improve overall quality) and a few detriments too (such as those listed above), but the most important thing is that, for the most part, these items are predictable. They take many of the variables out of the planning, designing and budgeting. Although each project is different and custom, we’ve been able to develop a reliable process and system for remodeling these homes. Along with a general walk-through, taking a peak in the attic and crawl space tells us quite a bit about the state of the home. Another important factor is how many times the home has been remodeled in the past. The more “weekend warrior remodels” it’s had over the years, the more it typically costs to remodel –there’s just more to undo. 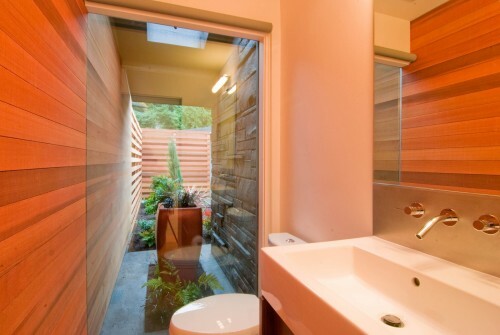 We usually see a lot of kitchens and bathrooms in sore need of updates (from a function and aesthetic standpoint). This is where talk to the homeowner about how they want to live, what possibilities they want in their future lifestyle, what their budget is, timeline constraints, overall concerns, etc. If we’re all a good fit for one another we move on to the next step. .
And if we’re not a good fit, we can usually recommend someone who is. We project how many hours it will take us to complete everything involved with the design package. This includes documenting the existing home, gathering the appropriate information, designing the remodel, submitting and obtaining the building permit and all the other necessary details like initial pricing and scheduling. 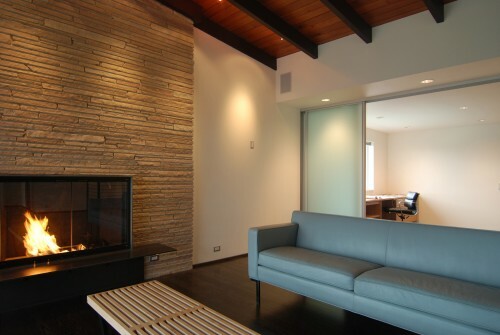 We determine our design fee and deliver a proposal to the homeowner(s). If it sounds reasonable to them, they sign on the dotted line and we’re off to the races. While jurisdictions like the city of Seattle don’t usually have much on file for drawings before the 1980’s, it is worth checking to see what is on file; this could include past permits, property liens, violations and what have you. It’s also a good time to verify any land-use issues like easements, setbacks and unusual conditions. Pre-submittal and pre-permit procedures are researched; for instance, at the time of this post there is a 6 week delay at the City of Seattle just to come in for a permit intake appointment (ridiculous!). This requires some planning and strategy to maintain an efficient schedule. Some of these mid-century modern gems reside in older neighborhoods with community covenants (like Innis Arden just north of Seattle for instance). These neighborhoods have design review guidelines to maintain quality in their communities. The process usually requires the architect and/or homeowner to make a presentation to the community board and get approval for the design prior to obtaining the building permit. Our design package includes the presentations and time necessary to meet these requirements. As mentioned above, it’s rare that a set of original drawings accompanies an older house. More often than not, we spend several hours on site running around documenting the house and inputting the existing plans and elevations straight into AutoCAD. 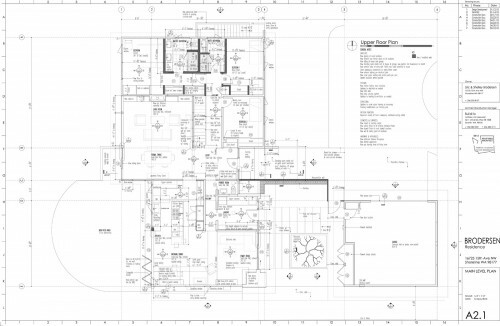 In addition to providing a set of base drawings for the eventual design, these as-built documents are also a good record of the existing home. This phase on site is also an excellent time to get a feel for the significance of the home and property- how the sunlight reaches the home, possible views, relationship to the immediate site, or the sequence of experiences leading up to the front door and through the home. There may be special features about the home like a stone fireplace, initial relationships between inside and outside or opportunities to capture more daylight. These are sketched up, photographed and documented. We hand out homework with most projects (although it’s optional and very rarely graded). The questionnaire gets the homeowners(s) to think about how they currently live, what they’d like to change about their patterns and hone in on details that are important to incorporate into the new design. It’s also a good time to put the bug in their ear about rounding up all those magazine clippings they’ve been keeping for design ideas. We outline our overall schedule; what will be done and by when. Like all of our documents, this schedule is available to our clients(s). We’re big on transparency. A series of diagrams are created based on all of the information previously discussed. 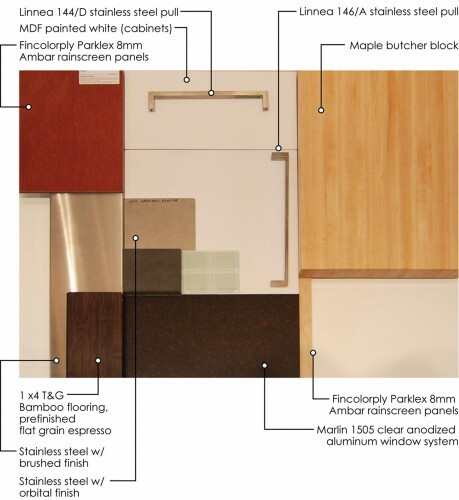 These diagrams clarify the most important attributes of the remodel and focus on design concepts. 2-3 architectural schemes are then developed based on the diagram study. Special items about the home are identified and enhanced. Materials and the overall “feel” of the remodel are discussed. This stage incorporates about 2 meetings where the diagrams and schematic drawings are reviewed with the client(s), which help make the first round of design decisions. We also tend to follow-up with initial budgets for the various design options right up front- although there is much left to choose and design, we typically have enough of an understanding of the client’s goals and can combine this with our past experience to devise an accurate budget. It’s a point of pride around BUILD that we’ll deliver the completed project within 10% of this initial budget. An overall design strategy is chosen and we move onto Design Development. 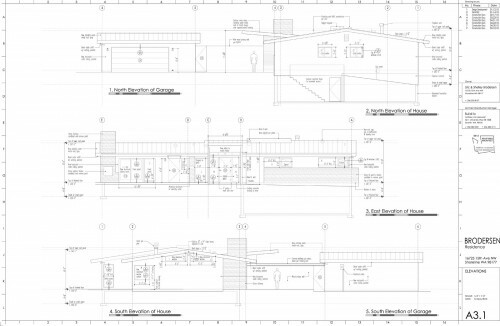 As decisions continue to be made, we develop the schematic drawings into permit documents. The graphics evolve from diagrams to actual architecture at this step. The drawings are refined in regards to details and methods. Materials are decided on and, as architects, we figure out how the new work integrates with the existing house. If other consultants are required (like structural engineers) their work is developed and coordinated with the design drawings. Specifications for materials, fixtures/appliances, assembly details, and relevant code information are incorporated into the project. 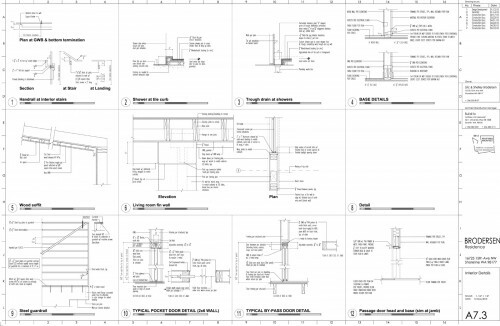 Recommendations from trades, suppliers, and manufacturers are added to the drawing set. The homeowner continues to make decisions at a more specific level of detail- we provide options for every fixture and finish based on our experience. Our clients have the luxury of researching and selecting anything further that is particularly important to them, or alternatively, moving forward with our recommendations if they’re so inclined. Our client’s run the full gamut of this range (from lots of personal research to simply leaving this in our hands to select). As a design-build firm we have close relationships with sub-contractors and vendors; we begin coordinating the pricing and scheduling with them early on. We refine the pricing based on the latest round of decisions and update our target budget before we go in for permit. The drawings and documents are submitted to the city for review. Depending on the city, this can take from 3-6 weeks and typically concludes with the city adding any corrections or modifications to the permit set and issuing the permit. The owner(s) writes a check from anywhere between a few hundred to a few thousand dollars for the permit fee and we’re ready to build. While the permit set is in for review at the city, we continue to develop the drawings. There are a number of items that the city is concerned with for permit review; these include life-safety issues, site coverage, maximum height information, energy code, etc. These are covered in the permit set submitted to the city. Due to review times and potential delays, we like to get the permit set in early for review and then continue developing the set with regard to items that the city isn’t concerned with. 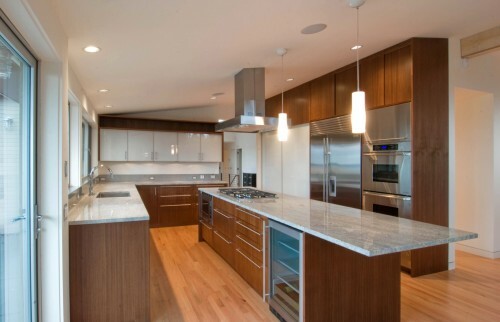 These may include cabinet details, tile selections, appliance specifications, etc. This strategy condenses the schedule and keeps the ball moving. At the end of this phase we have a construction document set ready to build from. Check out material purity vs. paint, architecture that multi-tasks, and our sustainability statement. for more design talk, follow us on twitter. Nice work on the process & info post guys. Sadly mid century moderns are rare where I am. 3-6 weeks for a permit sounds like something we can only dream about here. We have essentially 3 phases to the building approval process here. Planning, whereby the council approve your building size, scale, setbacks, materials, colours etc. Building, where all the construction documents are submitted for approval including engineering documentation. This process can be done through a private certifier if you wish, not the council. And thirdly development approval, given by the council once everything box is ticked along the way such as fees & levies paid, insurance up to date, details of builder submitted and building approval granted by the private certifier etc. The planning process alone here generally takes 3-4 months minimum. On more contentious applications, a year is commonly consumed. Good advice and great post. I would rather recommend to homeowners to try and keep the original look of the house, because I’ve seen so many mid-century moderns that have lost their charm. All it takes is painting that wall with a bad color and it’ll show differently. Building, where all the construction documents are submitted for approval including engineering documentation. @Robb – thanks for sharing that vid, hadn’t seen that one yet and it’s a great intro to the most important architects of the PNW. just found out that it can be purchased on amazon. done. should be here in about 3-5 business days. 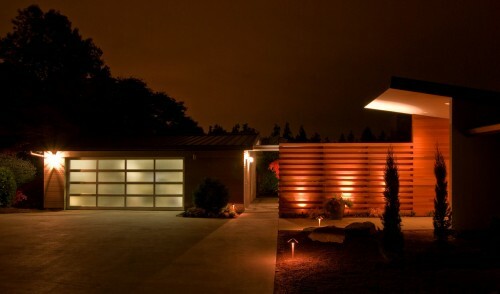 I really love mid- century modern houses. When I`m older, I am going to be a houses modler person. I forget what they are called. I LOVE MID- CENTURY MODERN HOUSES! Why did they start making these “new” boring, ugly, and annoying houses instead of still making mid- century modern houses. First of all… this is a fantastic website (and resource). I stumbled across you guys surfing for information on drywall reveals, L bead, etc. I SO appreciate you being willing to share “trade secrets” for those of us having a go at it on our own. 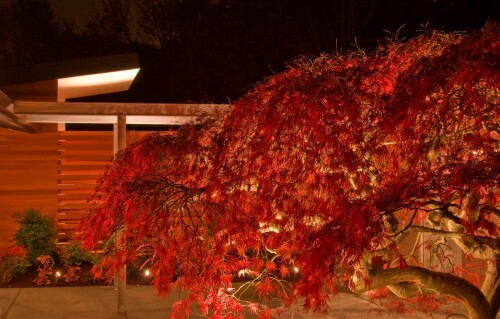 I am commenting because when I read posts like this one, it reminds me how amazingly fortunate we are to have an original home (built in 1955) designed by an architect who really knew what he was doing (Lyman Preston Johnson). Our house is set on solar north, there’s a four foot overhang all the way around the home, all the windows are original double pane glass, the walls are all thick concrete (stacked solid block) for amazing thermal retention, and the layout is incredibly thoughtful and efficient. While we have fun decorating and I’ve added a “period appropriate” studio (with a butterfly roof at complementary angles to the existing structure), it’s been amazing to NOT HAVE TO change anything! Thanks again for your thoughtful and thorough posts, and sharing your knowledge and experience with interested people! We just moved into a 1959 home in Virginia. Other than the previous owners putting chair rails and crown molding everywhere, and covering up a really cool built-in planter that separates the foyer from the living room, little has been done to alter the house from its original glory. We have restored the planter and removed the shutters that had been put on the front windows. Wonderful post and great site! We have at 1954 beauty that is in sad need of most of the repairs you mentioned. The problem we’ve run into is that we have trouble identifying the materials used in our home, especially in the walls. It doesn’t seem to be plaster or drywall, but some weird thing in between. Any suggestions on how to identify things like that? Google is surprisingly not helpful in this case! @Mary -we haven’t had experience with mall materials outside of gypsum wall board or lathe & plaster. It sounds like you’ve got some artistry in your home. I’m not sure if you have the same thing, but my 1952 home the wall material was originally 4’x18″ sheets of drywall stacked on top of each other, instead of the standard 4’x8′ sheets used today. These were then coated with a thin layer of plaster to finish them. Hey guys, Great article. I was hoping you might could point me in the right direction for some stylish round air vents. Me and my wife have purchased a 58 ranch and want to push it to a more mid century modern look. All of the AC vents are in the ceilings and have the old round vents. I was hoping to find something that looked cleaner. Any suggestions? It’s so great to have this information available and see the beautiful work. I bought this 1960 house in Walla Walla WA solely for the potential of the garden, only recently realizing it is a specific style – with the wall of windows on the south with the correct passive solar overhang, teak parquet and cork floors (under carpet), the tongue and groove ceiling with large cross beams, and the evil flat roof that has obviously leaked for 53 years – when there was an article in This Old House, then someone lent me a copy of Atomic Ranch magazine. I’d be interested if anyone knows how to find information about who designed it and if there are others in the area. And how to find someone to work on it who would understand it. Any suggestions? 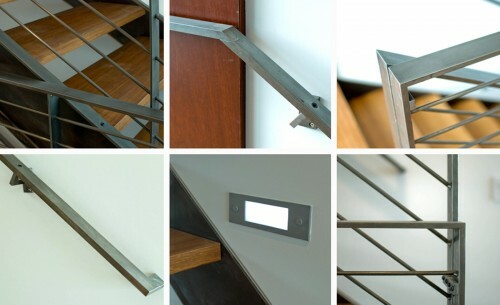 How about renovating Mid-Century Modern Houses using steel frame? Would it be helpful in keeping them in good condition even better? Anyway, thanks for posting these ideas. Enjoyed them. 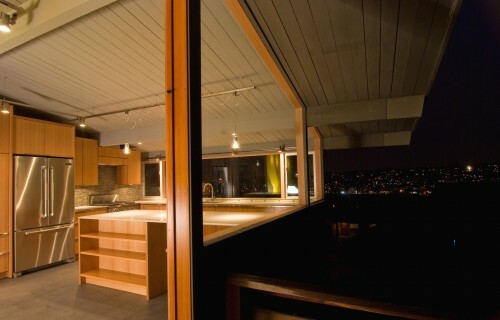 @Joy -steel frames are certainly possible with an MCM renovation, just very expensive. We have a MCM sidesplit built in 1959 that we are going to update/renovate. It has a low slope tar/gravel rooftop which we want to remove/replace. What would you recommend? Wish you guys worked in the Southern Ontario, Canada region! @ Gary -if the slope is 1:12 or steeper we recommend standing seam metal (check with the mfr to make sure the warranty works with the slope). If it’s more shallow than 1:12 you’re limited to a single-ply membrane roof (not a bad option, but they don’t look as good as standing seam). Thank you for this helpful article. We just bought a 1955 ranch on the coast of Georgia. I love the lot and I think the house has great potential. However, I can’t find anyone in the area who knows anything about MCM homes! Do you happen to know of anyone in the southeast? @ Laura -we don’t, but check back with this post, as someone else may have a good recommendation in the comments section. Great article. I feel privileged to live in a Mid-Century Modern home in Southern California. I found myself nodding “yes” to all the building points you made in the beginning of your article. After years of planning we finally replaced the single-paned windows with double panes; no easy feat, as most contractors didn’t want to tackle walls of glass. And we did take the opportunity to make some of the “field-built” windows operable, with awesome results. I have to agree with Heather that sticking with the original design, when possible, is probably a good idea. We have resisted designers who wanted to move walls, preserving the charm of the house, as well as our budget! So happy I found this article! I own a 1948 MCM house in Connecticut and am in beginning planning phase of the homes renovation. My main concern is how to deal with the radiant in floor heat. The original all copper system still operates great but I know I can’t count on it lasting – is there any way to update a cement floor with radiant heat? @ Darin – without simply replacing the floor, we’re not aware of any methods to update the existing floor and radiant in-floor heat system. This is a very informative post, thanks for sharing. What do you recommend doing with an exterior façade (c1960s) that has white irregularly shaped stone? I’m fearful this immediately dates the house in the eyes of a potential buyer, but at the same time am hesitant to radically alter the original architecture as the house is largely in its original state. Thanks for the speedy response. I will check into it. The stone (not sure what type, but it looks white and powdery and is set like fieldstone on the house) has never been painted. Painting may make it disappear, but it’s still a bit sad to do so to unpainted stone. I suppose it’s more architecturally sympathetic than removal! So what’s your take on vinyl replacement windows in a mcm remodel? I’m desperately needing to replace our current windows and the costs are out of reach for our 23 windows consisting of sliders, awnings and pictures. I’ve priced everything in my area – wood and vinyl. The best prices in my range are for white vinyl. I’ve mocked it up on my house and am not sure how I feel about the white on cream look and I don’t want to face buyer remorse over this. I love pulling up to my house everyday and don’t want to lose that feeling. Is there another option i’m not seeing? You might look into fiberglass window systems in a gray shade for your home. They provide a nice balance between all of the characteristics mentioned above. We were faced with the same issue with our MCM home; we had old floor to ceiling single-paned windows. We went with aluminum double-paned windows. We live in Southern California, so heat gain is more of an issue than cold, and these windows have been keeping the house cool in the summer. The original windows were aluminum as well, and they lasted 45 years. The look is very clean and minimalist; no bulky frames. We are pleased with the outcome. It’s great to hear of another window option. I replaced the smaller windows in my 1960s house with vinyl, thinking it was the only affordable option. They do the job but the aesthetics are terrible, both inside and out. Eventually the six 5′ by 6′ windows that are set into wood have to be replaced but the thought of all that plastic in the living room is too awful. Considering purchasing a mid-50s MCM in Pennsylvania with radiant in floor heat thru-out. House is slab construction plus upper level children’s BRs. 3/4ths of the heat is disconnected, floors in two newer additions said to work. Pipe is ‘black pipe’ about 2″. HVAC guy would not try to restore. Couldn’t some smaller flexible tubing be routed through the old , presumably leaking, pipes, perhaps only requiring the terrazzo floors to be busted up at the ends? @ Peter – technically routing a smaller tube through the larger (original) tube might be possible, but it’s doubtful that you’d find a group that would take on the work and warranty it – especially with the amount of new construction most trades currently have in front of them. WOW!! This site is a fabulous find! I flip houses, and love to one of the “different” designers when doing so as it won’t be cookie cutter when I give a family a new home. I personally LOVE MCM houses, and had never gotten the opportunity to redo one until now, I just closed on it and am sooooo Excited to do the project and bring it back to it’s glory! I do have an issue that myself and the guys are stumped on. The system they designed for this roof is a rudder roof, and the ceiling tile system is more of a structural one, as there was a roof leak and it was sagging but I needed a crowbar to pull it, it’s vtrong bit not cement or anything. It has a thick multi layer which I am assuming is the insulation. So it goes exposed beams, then these tiles sit on them, then this multilayer compressed insulation the rubber roof, so these tiles are sandwiched, Here enlies the problem, it would seem incredibly expensive to have design it this way as to having to tear off the rubber, and remove everything including the ceiling tiles, from outside in. Is there a certain name for this kind of roof/ceiling system? I am looking for a cost effective way to remedy the leak, but does it mean tearing the whole thing apart? Seems crazy. I just want to do right by keeping it’s design, but this seems super antiquated and rather expensive. Any thoughts on the what type this is called? Thanks again, I can’t wait to hang out on this site 🙂 Kudos from Pa! We are thinking of purchasing a John Randal McDonald home, but the ceilings are super low! 6’7″?? Flat roof. Can they be raised and keep the integrity of the design? And the heating in the floor and ceiling, should we keep, update or change out. There also is no air. We plan to keep it as original as possible. The realtor claims it’s a Sjostrom design and reports the original plans come with! Love the website. We bought a mid century this summer in the Washington DC area designed by Lethbridge. He did the Visitors Center for Arlington Cemetery. It has been neglected, but it probably the purest example in the neighborhood. Our folks thought we were crazy, but it was better than ripping out new bad designs. We will look at keeping these period perfect. Just purchased a MCM house by Gene Leedy. Biggest issues are 8 oversized 3 panel old sliding glass doors. In Florida safety (we live on lake) and cooling are a priority. Is it ok to replace the windows? Also, we have a black, brown, orange brick floor that appears original. Have you heard of this? Should we keep it? 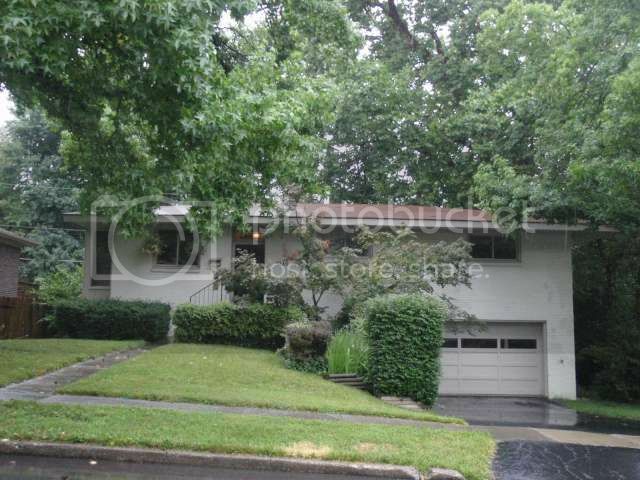 We’ve just moved into a recently remodeled mid-century in Hollin Hills in Alexandria, VA. It was a quick move – and while I absolutely love the house I’m beginning to discover parts of the “studs up” remodel that were skimped on or done simply incorrectly. I plan this to be our last house so we’re slowly but surely addressing the issues and upgrading (I had no idea you could even buy such crappy wood floors!). One of my recent issues I’d like help with. I’m replacing the bathroom fans (remodel-cheap with jet turbine like noise levels) with neato-keeno moisture and motion sensing units. In the first one I replaced I was careful not to disturb the existing exhaust ducting – but skipped and “detached” it at the far end. Hoping I might be able to snake it back in somehow I got a flashlight and discovered that the duct actually ended … nowhere. It was simply venting into the 7″ space between ceiling and roof base. So a couple of questions I’d like input on. First – is this normal in this era? I see houses around me (all by the same builders) that have almost no roof venting – and others that are bristling with vents. It seems if I had to design a mold factory this would be a good way to go. I’ll be up on the roof tomorrow installing a vent for this fan and others as I go. Second – is mold an issue in this tiny little crawl space. It’s 7″ high and divided by joists – so I really have no idea how to ventilate it. Any input woud be appreciated. @ Tom -congrats on scoring a classic MCM! #1 – We’re constantly amazed at what we find in mid-century modern construction. Un-vented roof cavities are (unfortunately) not all that unusual. Half of them don’t contain much insulation either. And a less visually pleasing method is the installation of roof vents at each bay. 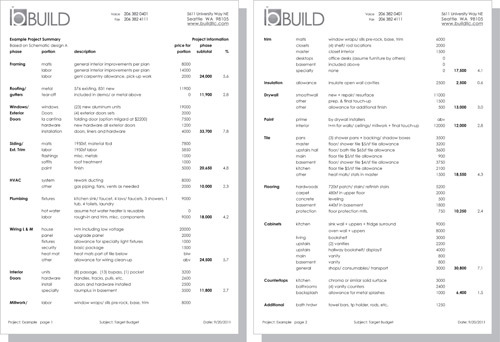 Build – thanks for the feedback. Yes – an “attic” – but this house has only a 7″ high space (basically just the joist) between the ceiling and the roof underlayment. No crawl space – we’re right on the slab. Another concern I have is that I can see no sign of passive venting whatsoever. 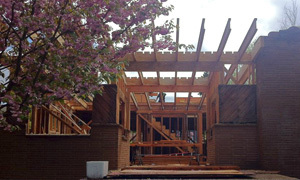 We have large overhangs on two sides of the house – and they are absolutely solid. No venting strips or other fixtures. Have you heard of success in blown-in foam insulation?There’s fiberglass up there – but a sloppier job I have never seen – large voids, etc. I’d also like to look into this for the few outside walls that are not glass. I put in the first bathroom vent this weekend. A bit of a challenge on a tar and gravel roof – but I think it’s tight and it’s not visible from the ground. Two more to go. This is clearly the start of an interesting adventure – but I’m looking forward to it. Our last house was > 8K square feet. This one is 2,100. I’m loving it – projects are doable and don’t cost the earth. Looking at purchasing a MCM in So CA, with no air or heat and flat roof. What some economical solutions to retrofit? Roof mount system? @Irdgc -it depends on what you’re looking for as the end result. If heat and air conditioning are desired, you’re limited to a ducted system. Where the ducts, furnace, and heat pump are located will be determined by the architecture of the house. If there aren’t good interior options, coming down through the roof might be the best option. If it’s just heat you’re after, we’d look into a wall mounted radiant application. Hi, I have just purchesed a MCM home (1960s) and am struggling to make s decision on how high to take my bathroom wall times. What is consistent with the era? I am happy with my choice of colour and style, but would like to get height right. To ceiling, half wall or splash backs on shower/bath/vanity only? Any help appreciated!